Many people are concerned with their pets because they want to take care of them in the best way possible. Humans develop a really close relationship with their pets that only they can understand. Dogs are the best pets because they also are very useful for humans. 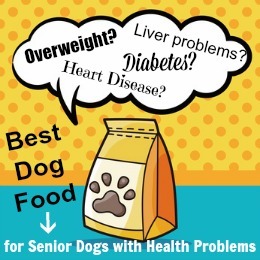 In order to make sure that your dog is healthy and going to live a long life you have to concentrate on the type of diet that you should provide to your dog. There is a pool of knowledge available over the World Wide Web regarding the diets that dogs should be given, you should definitely read about it in order to be aware about the things that you should feed your dog. 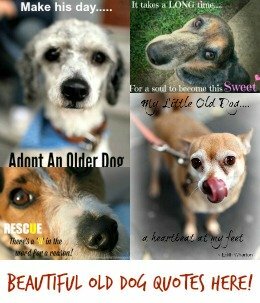 This article also provides such information by reading you will be able to save your dog from many diseases that can make its life miserable. Just like with people, is it important for your dog to eat nutritious food, including fresh fruits and vegetables, and to exercise regularly by walking, hiking, jogging, swimming, or playing fetch! There are different types of dog foods for different ages of dog. Researchers have discovered that when dogs grow their bodily needs changes with the time. Therefore, if you have a puppy then you should buy dog food that contains mostly proteins, vitamins and minerals as these nutrients will help them in growing strong bones and muscles. 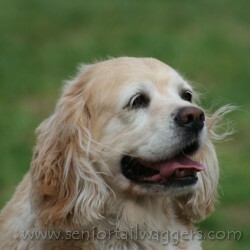 Whereas the older dogs are given diets that are lighter, so that they get use to of that type of food quickly and easily. In addition to a good diet, you should also give them lots of fresh water to drink. It is not only necessary for humans but for all animals. Moreover, you should make sure that the dog you have is fully vaccinated. Many people own abandoned dogs that are not vaccinated so you should take them immediately to a vet and get their vaccination done. It will properly maintain the health of the dog and save it and you from the deadly diseases that can prevail. 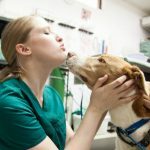 You should also get check up of your dog once a month or twice or year from a vet in order to make sure that it is fine. Keep your dog clean and tidy you should also give your dog baths at least twice a month. They play so much and go everywhere that is why they get dirty, developing lots of ticks in their hair. Besides that, they roam around your house and sit at different places so make sure that they are clean. To make sure your dog stays in optimum health you should incorporate these four items into your dog’s daily diet. Probiotics are the “good, friendly bacteria” that dogs need to combat the “bad, harmful bacteria” in their gastrointestinal tract. Dogs need enzymes to help digest their food and there are many reputable companies that produce high-quality Enzymes for pets. Is an excellent source of omega-3 fatty acids and there are many premium brands on the market of salmon oil, sardine oil, and anchovy oil for pets. * For additional advice or if you have any questions please consult with your veterinarian, a certified pet nutritionist, or a pet store owner who is experienced and knowledgeable about pet food and pet supplements. Also, do your own research on the internet where there is a magnitude of advice from experts in the field on these supplements.